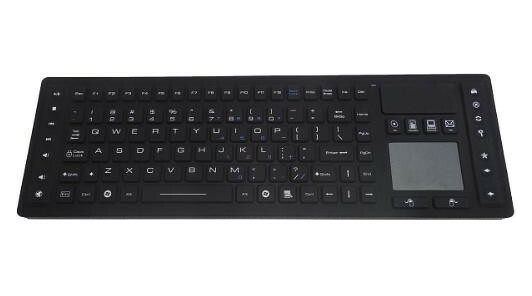 Small PC, of Clearwater Florida, has introduced its new Bluetooth PC Keyboard. Its rugged construction and wireless operation makes the keyboard ideal for use in applications and environments that included the factory floor, hospital, medical, marine and specialized vehicles. Although the SK310 keyboard is completely sealed and IP68 waterproof, the specialized glove-fit rigid silicon construction gives the keyboard a comfortable desktop feel. All 105 keys provide "soft-click" touch with excellent tactile feedback. As well as being "designed tough," the SK301 is anti-microbial and washable. Other features include an integrated two button Touch-Pad Mouse, quick select media keys and a snap in holder for the mini Bluetooth dongle. Two AAA batteries are accessible through a waterproof compartment on the bottom side of the keyboard. The SK301 includes Windows keys and is plug-n-play Windows compatible including support for Windows 8, 7 and XP. There are also USB versions of Small PC's rugged keyboards available that are manufactured using the same rigid silicon construction. The USB versions of the keyboards include options for adjustable backlights, a separate numeric keypad, compact sizes and layouts ideal for mobile and vehicle applications. 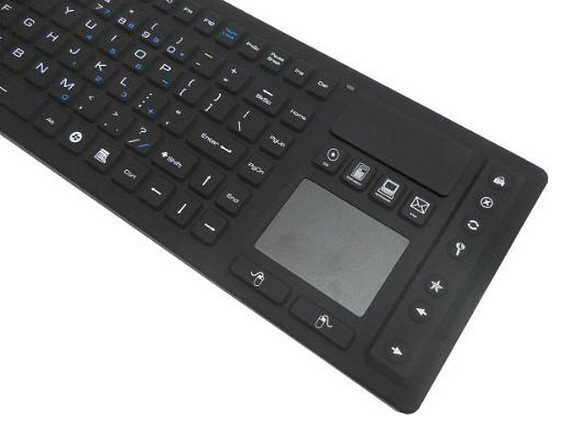 Both the wireless Bluetooth version and wired USB version of the keyboard have a suggested list price of $140.00 U.S. and are available direct from www.Smallpc.com or its on-line store www.StarLinePC.com.